The year 2019 has only just begun and just like any other year, success in the 2019 restaurant market will be determined — in part — by individual business’s ability to capitalize on the top trends. While each year is different, here are five trends experts predict will be big for the year 2019. The last couple of years have seen many restaurants expand on delivery or car-side pickup options. 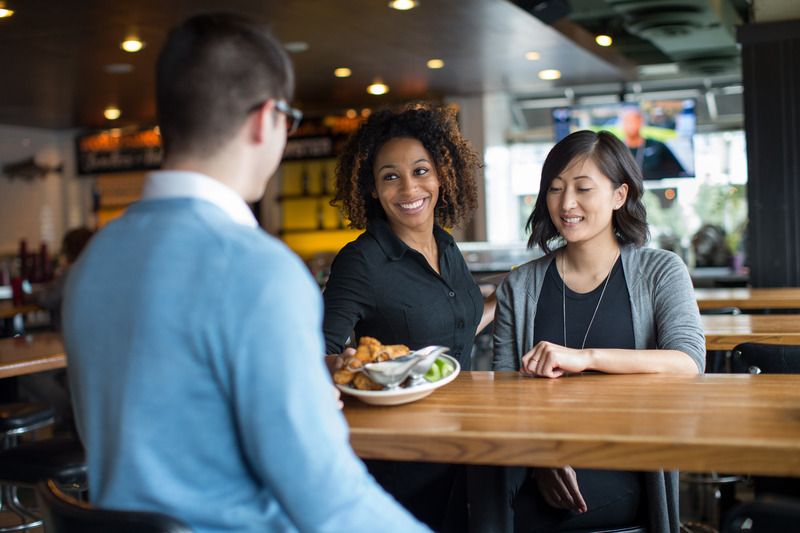 These strategies were enacted largely to satisfy consumers' busy lifestyles but they've now been shown to yield another benefit as well, reducing the necessary restaurant footprint. According to a study by Baum and Whitman, a restaurant that can convert a portion of its business to takeout or pickup can save roughly 13 square feet of necessary space per seat. Thus an 80-seat reduction would reduce the necessary business footprint by 1,040 feet. How much could your business save if you could move to a space that was 1,040 feet smaller? While this trend certainly won’t catch on with every type of restaurant, fast-food, fast-casual and other take-out solutions are sure to review their options here. Why sell one meal when you can sell two? We’ll get to that in a minute. First let’s focus on so-called subscription meal kits like Blue Apron and Plated. While nothing new, they’ve changed the food landscape, even if their staying power may not be long-term — research shows only 15 percent of consumers stick with Blue Apron for an entire year. Nevertheless, subscription meal kits have shifted the market and caused restaurants to ask a vital question. Can we sell plated kits as well? It’s a concept Chick-Fil-A is already trying. Selling the customer lunch and then offering the opportunity to pick up a prepackaged meal — like chicken Parmesan — for dinner. Expect other restaurants to explore this possibility as well. Because if you can sell one meal, why not two? Call it the rise of the non-restaurant's restaurant. As conventional retailers seek new ways to combat Amazon and other online sellers, one way is increasing the in-store experience. This includes adding places to dine. Today Crate and Barrel is researching restaurant opportunities, as are AT&T and Restoration Hardware; even movie theaters have significantly upped their game in what is offered before or after a show. Each of these cases also presents a shift toward conventional sit-down fare as opposed to a cafeteria feel, adding even more competition to an already turbulent market. Not every market will be affected by this one in 2019 but the trend is moving this way and it’s doing so quickly. As marijuana becomes legal in more and more states, food makers are experimenting with the product as well. Constellation Brands, the company that owns Modelo and Corona, recently spent $4 billion to acquire a Canada-based marijuana company, and Heineken-owned Lagunitas now offers Hi-Fi Hops, a sparkling water laced with THC. From beer and coffee to tea and even soda, marijuana’s influence in the market figures to grow rapidly in the states where it’s legal, giving restaurant owners reason to rethink their beverage offerings. Some of the trends discussed above may affect your business this year, others won't. Some you may even be pursuing already. No matter where you are on this list, you can't afford not to look at what other companies are doing. If it doesn't affect you now, chances are it could down the road.